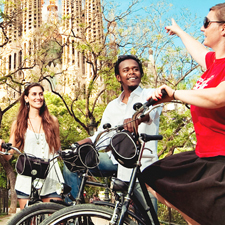 We invite you on this bike tour in English through the spectacular world of Antoni Gaudí. 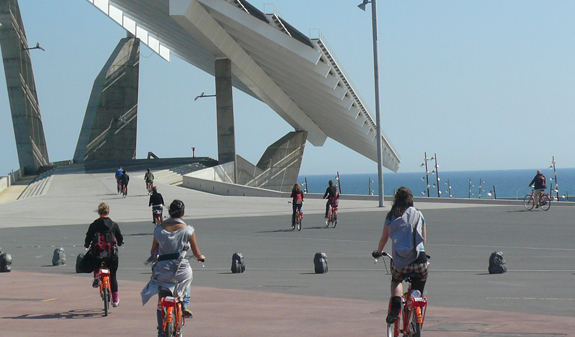 A different and original way to enjoy the city while you find out how the masterpieces by the architectural genius changed the face of Barcelona. 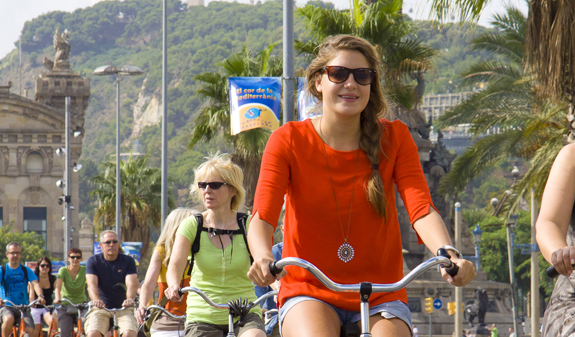 On this three-hour route you'll discover Antoni Gaudí's most iconic landmarks as well as some of the foremost buildings from the Catalan art nouveau, or modernista, movement. In addition to the Sagrada Família, the Casa Batlló and La Pedrera, you'll discover less-well known architectural gems from the late 19th century. You'll visit the former Hospital de la Santa Creu, housed in a 15th-century Gothic building that showcases more than 500 years of architecture. The hospital relocated to new purpose-built premises close to the Sagrada Família in the early 20th century and is a renowned Catalan art nouveau masterpiece. You'll be able to admire the magnificent Palau Güell, a building designed by Gaudí, and a UNESCO World Heritage Site since 1984. 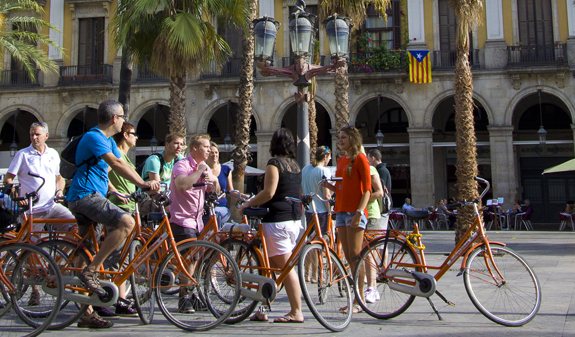 Across La Rambla, you'll come to the Plaça Reial, one of Barcelona's most distinctive 19th-century squares. 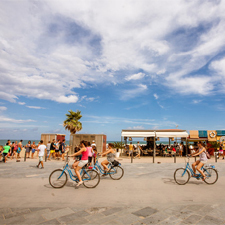 You'll visit the Plaça Sant Jaume, Barcelona and Catalonia's political powerhouse, and head to the Ribera district, where you'll see the majestic basilica of Santa Maria del Mar. Finally, after you've been round the Parc de la Ciutadella, you'll come to the Arc del Triomf, one of the world's best-preserved triumphal arches. 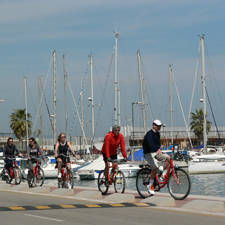 You'll be able to relax during this tour on two wheels, while you listen to the guide's explanations and stop off from time to time to enjoy a coffee. Meeting point: Shop Jaume, plaça de la Llana, 3. metro: L4, Jaume I stop. Please arrive 10 minutes before the tour commences. 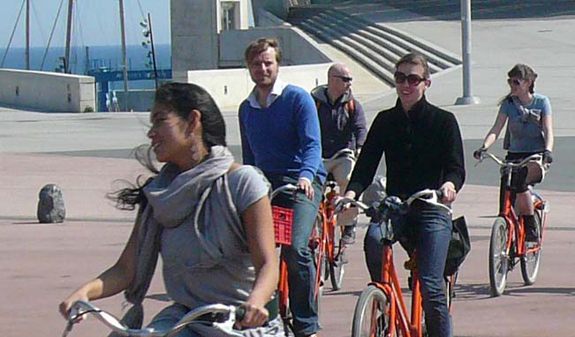 The guide will be on an orange bike with a Budget Bikes flag. Maximum number of participants: 15 people. 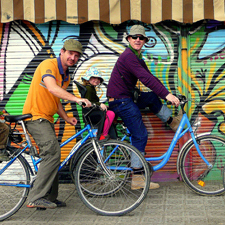 Activity suitable for all ages. Free for under 6s with a bike seat.